Gale these are so adorable but I am really partial to the flower one. 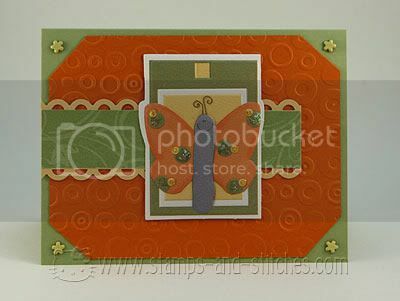 I just love the papers and bright colors! These are BOTH great!!!!!! Love the butterfly! Just precious. Great cards Gale! 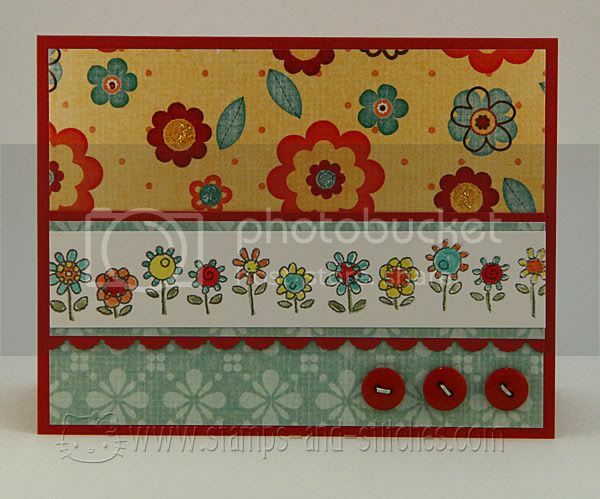 Very cute flowers and great colours on your first card! The butterfly on your second is so adorable. His face is so cute! Great colours again. Oh my, Gale these cards are just darling! Great cards. I love the first one. It is so cheery and bright. Theh second one is really nice too. I think I have that same printed paper. Cute, cute, cute. I love the flower card. Love the bright colors. So cheerful. These are so bright and cheerful! Love them!